Sometimes professional tennis is an awesome display of athleticism and mental toughness. Less frequently, but just as enjoyably, it’s a petty squabble with some tennis sprinkled in. So went the end of a first-round French Open match between Slovakia’s Martin Klizan and France’s Laurent Lokoli. 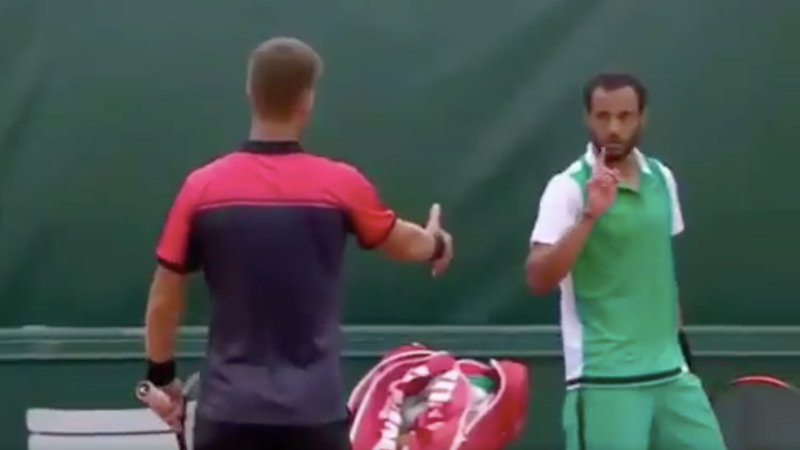 After Klizan prevailed in five sets, the 22-year-old Frenchman refused to shake Klizan’s hand, wagging his finger instead and waving him away, as the home crowd booed. It was not a display of good sportsmanship, but Klizan might have had it coming. A few games earlier, the 27-year-old celebrated Lokoli’s game-ending double fault in the fifth set with a triumphant yell, staring across the net, and pointing to his temple. It’s always interesting when there are tennis players who hate each other. Let’s hope these two meet again.